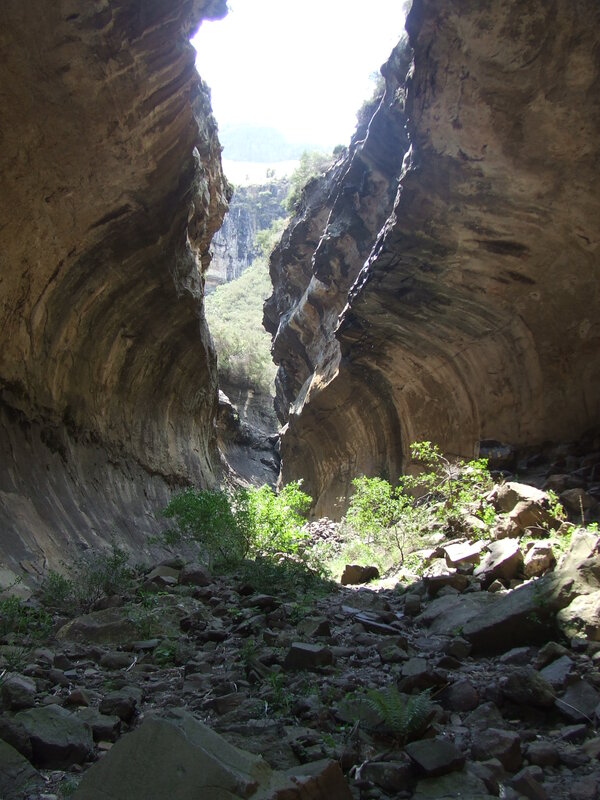 Echo Ravine is one of the most picturesque short routes in Golden Gate Highlands National Park. 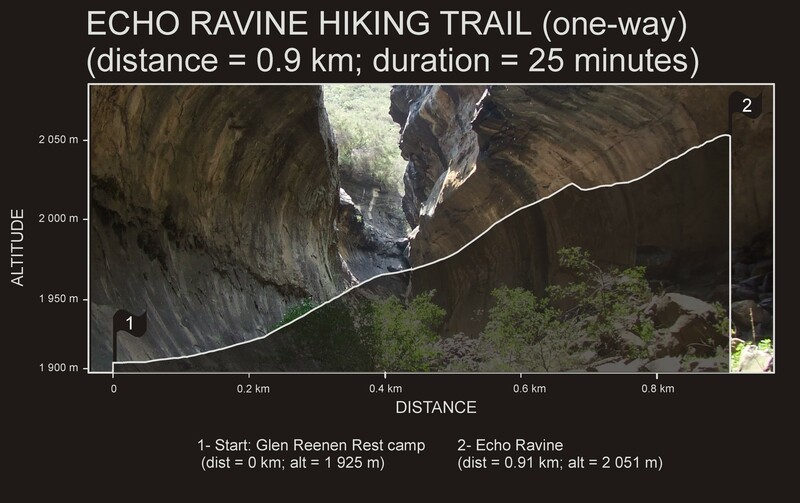 Starting at the Glen Reenen Rest Camp the gentle, marked route moves upward into a spectacular ravine. Near the ravine itself, the main path tends to split into many sub-paths; most go to the same place but some just lead to dead-ends. It is probably best to stick to the most well-worn path. It should take 25 minutes to reach the ravine, where erosion has created a cavern between two cliffs that nearly meet 10-15 m above. During the rainy season (October – March) water trickles from the overhanging cliffs to create an eerie atmosphere in the cool and shady hollow. The whole back-and-forth route is only 1.8 km so it is a great little walk that can be incorporated with hike to Brandwag Buttress or Wodehouse Peak.